Here's a multiple-piece scene of Darkwing Duck fighting Quackerjack from the NES game Darkwing Duck. 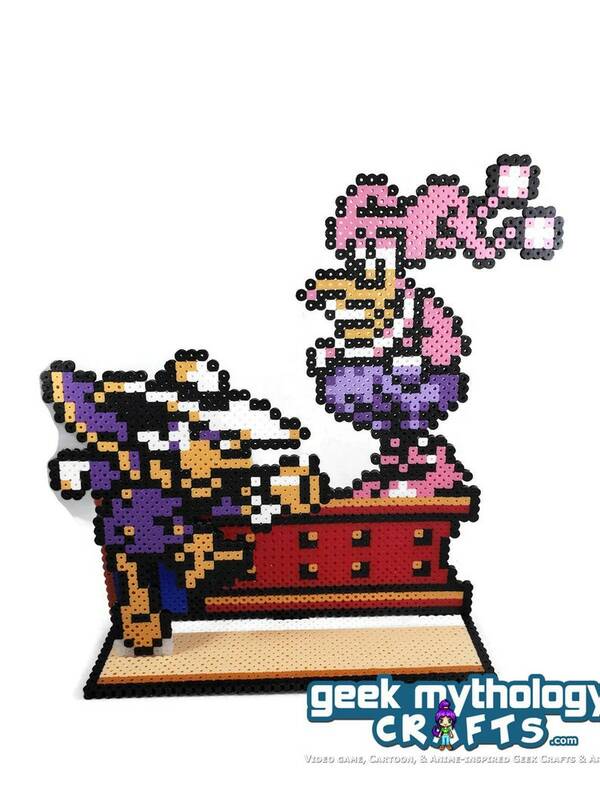 The scene consists of 2 removable pieces (Darkwing and Quackerjack in a platform) on the base. Each piece snaps into the base and can be taken out for easy storage.